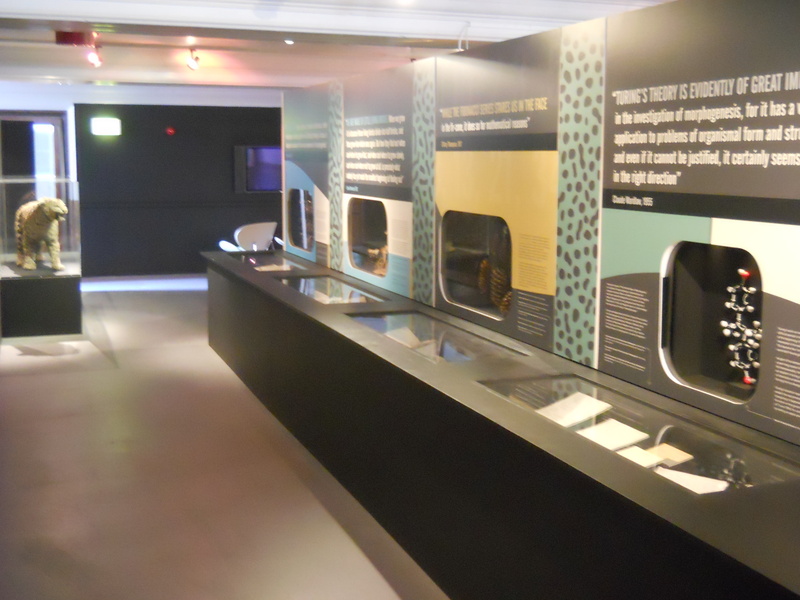 Our latest exhibition ‘Alan Turing and Life’s Enigma’ opened at the end of March. 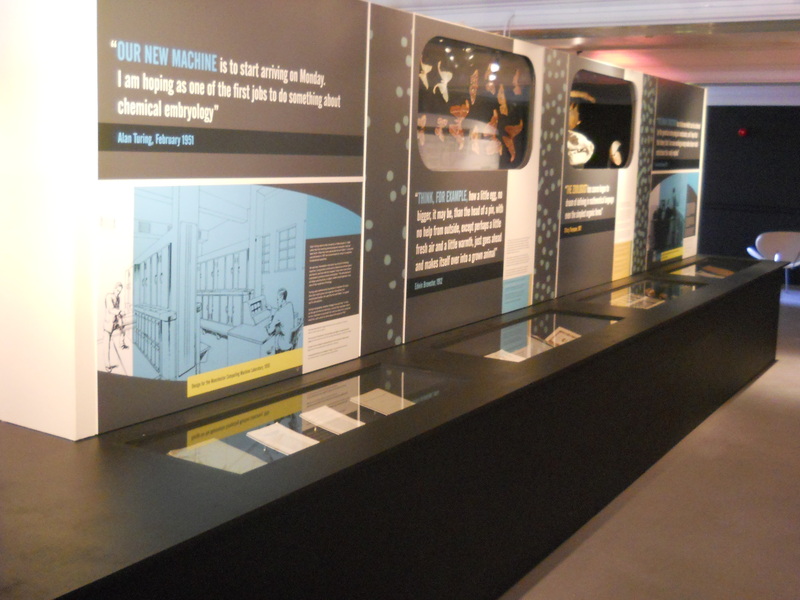 The exhibition coincides with 2012 Turing Centenary Year, celebrating 100 years since Turings birth. Alan Turing is known to most people as a mathematician and pioneer of computing, as well as being a significant part in the solving of the Enigma code at Bletchley Park during WW2. However the main focus of this exhibition is his work relating to biology, specifically to his fascination of how pattern, shape and form appear in nature, in a process known as morphogenesis. In 1952, Turing published this work in a paper (The Chemical Basis of Morphogenesis) describing a model showing how these patterns could develop from the interactions of two chemicals. The new exhibition combines material used by Turing during his research time in Manchester with objects from the Museum’s extensive natural science collection. The exhibition is in our 3rd floor exhibition space and runs until 18 November 2012. This hands- on, interactive workshop will allow students to explore the scientific contribution of Alan Turings work. Students will investigate how codes were used in early computing, the numerical patterns found in nature, and how it links to the Fibonacci sequence. Though facilitated learning on the new ‘Alan Turing and Life’s Enigma’ exhibition and getting up close to the museums collection, this session shows applications of maths to the natural world and cleverly links both science and maths curriculum. Through a series of talks by University of Manchester Academics, hands – on activities and debates, your students will discover how their A-Level studies relates the last work of the famous scientist Alan Turing. They will find out more about embryonic development, morphogenesis and pattern formation in living things and the Maths behind ‘Patterns in Nature’. We will be offering a few sessions free of charge during the trial phase (May/June/July), so if you are interested in this offer, please do not hesitate to get in touch. You can get involved with your own Turing experiment, by growing a Turing Sunflower! This entry was posted in About the Learning Programme, Event, Exhibitions, Galleries, Secondary, Uncategorized and tagged Engage with the Experts, Exhibitions, Information for Teachers, Learning Outside the Classroom, Learning Programme, Learning Programmes, Post-16, Secondary Sessions, The Manchester Museum, Visiting Schools. Bookmark the permalink.